The Voice of Truth International is a quarterly Gospel journal. Within it in each issue are articles by Christian men and women that address a wide range of topics. Subscriptions within the United States of America are $15 for a 1-year subscription or $25 for a 2-year subscription. Follow this link, which will redirect you to World Evangelism Media, to begin either a 1-year subscription or a 2-year subscription to The Voice of Truth International magazine. Bundle rates are available as well, and subscriptions can be started by calling us at 662.283.1192. Bundles can vary in quantity according to one's need, and the rates will vary accordingly. 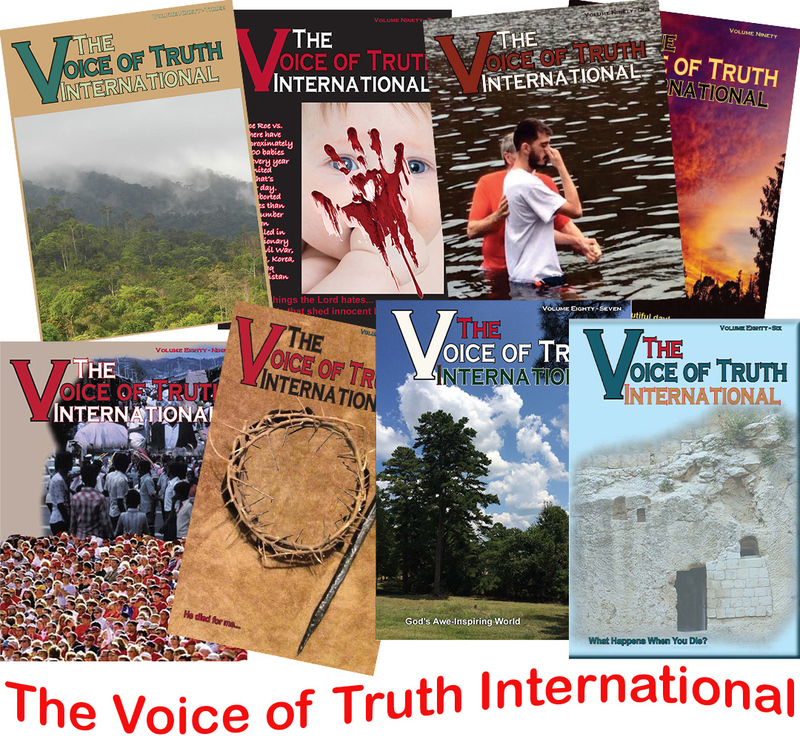 Past issues of The Voice of Truth International are available for $2.00 each plus shipping. In addition, all past and current editions of The Voice of Truth International are available below as PDF files without cost to the user. Simply select an issue and it will load to one's computer screen. If desired, then, an issue may be saved to one's computer or other storage device. Each edition must be loaded to one's computer one at a time. Selecting the following link will redirect you to the pages of Gospel Gazette Online and the page where one can access The Voice of Truth International without charge. A CD-ROM is available with all current issues of The Voice of Truth International for $25.00 plus shipping. Simply follow the following link or call 662.283.1192.